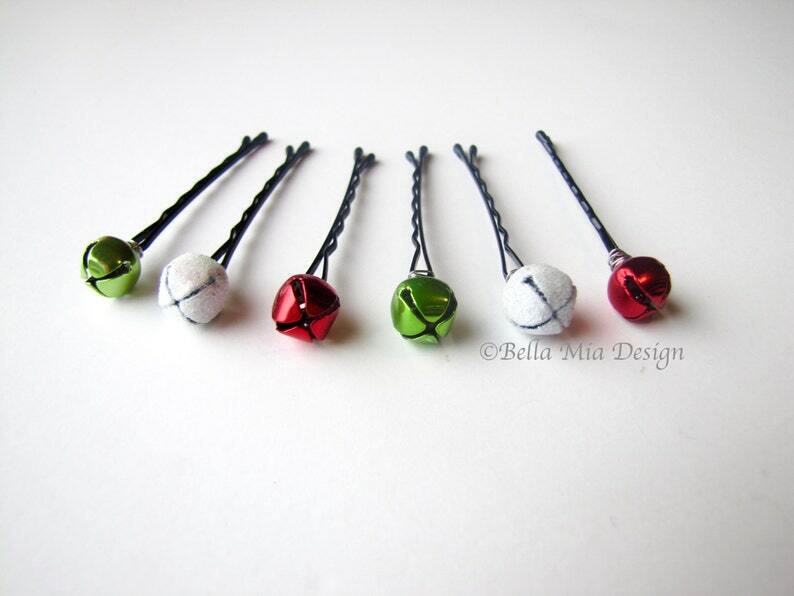 Adorable Jingle Bell bobby pins to show your holiday spirit! These are bright red, green, and glittery white, with a very slight jingle. These little bells are about 3/8" across (9mm), with the white ones just a tiny bit bigger. 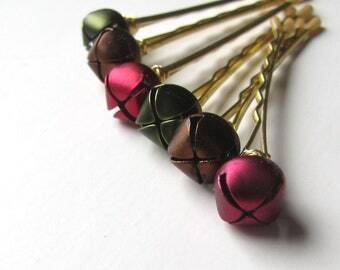 These will be wired onto a 2" bobby pin, your choice of silver or gold toned wire.